For over two years, I’ve been toying with, mulling over, wondering about, dreaming towards, wishing we could, forgetting about for awhile, discussing with close friends, praying privately around, and researching the possibility of what I’m calling, “A Gap Year”. Also known as, “A Sibling Year“, also known as, “Home School Year”. Sunday, as a family, with varying levels of excitement (from very angrily anti, to eagerness tinged with trepidation), and with faith, trust and hope in each other and the God that holds everything together, we committed formally to the Gap Year reality. Next school year, August 2016- May 2017, Eli and Andi will not return to Line Creek Elementary but will stay home with Oaks and me for home school through the Classical Conversations (CC) curriculum and our part in a local CC community. We will accomplish all the necessary educational requirements for them to stay on track and re-enter as 5th grader and 4th grader for the 2017-2018 school year. We are NOT going Gap Year because anything is broken, or because someone else is doing it, or because anyone else suggested it. Nope, instead, this has been an idea, an urge, a desire, a pull that I have had felt and engaged all on my own as I trust God is speaking to me and moving me on kingdom purposes for the time, place, and people God has me in and around. I feel it is the right thing for us right now. Develop a depth of relationship between parents, siblings, and learning. Know my kids deeply and establish a deep trust in each other. Bond them as siblings. I want to give Oakley what Eli and Andi experienced their first 5 years of life- daily life with each other. Have family be the most formational force in their life for a year. I want to shape, mold, inspire, get to know and encourage them more intentionally. Dump a ton of facts, knowledge, and data into their malleable brains- taking advantage of the capability now and building a foundation for everything they’ll need later. I want them to become more fully who they are and expand their personality and gifts. Engage this choice for the benefit of my kids and because of the flexibility of my part time job. I have extra capacity for my capabilities in the current scope of my job. I want to give what extra I have to my kids. To go to Colorado and Chicago to be with our extended family more often for longer periods of time. It’s scary and exciting and asks a lot of us because it changes everything we’ve gotten used to. I have a list of things that could go wrong. However, the list of what I hope for and feel we could accomplish together, is a stronger one. As we walk this out, I’m sure I’ll update and share stories. Or perhaps, blog writing goes off the list of things I can accomplish- a gap in my writing? When we talked about it with our kids Sunday morning, I told them I wanted to extend an invitation for relationship, education and adventure. I told them they could feel anything they wanted about it (nervous, excited, mad, ready, angry, so-so, pumped etc…). We agreed we all need faith, trust, hope, and teamwork to make it happen. It’s on. I can’t fully believe it and simultaneously believe it’s about time. Women and Men in Leadership and Conversation: my YL write up. This is a post I wrote for the Young Life Midwest Women’s Leadership Network Blog. The journey of crafting words and researching story, asking for input and editing for softer language, ended up like it will read below. I was grateful for the chance to write but most of all, am hoping it will be read and used for necessary growth and change. Ingredients for healthy meetings and a helpful perspective on working with the other gender. I was fortunate to attend the Women’s Leadership Network gathering during YL75. After sampling fancy and fabulous cold cracker spreads, we gathered in a semi-circle to hear from mission leaders. All three leaders affirmed the idea that men and women, working together, most fully represent the fullness of God in kingdom work. Although women have not always been affirmed in leadership in Young Life’s past, we are very thankful for the major steps forward in this journey made by men and women towards health and equality. Because some women still have a steep hill to climb towards equality of opportunity in our mission, we will press on with hope. On my own, in one blog, I cannot write to encapsulate a comprehensive history, or sum up experiences, beautiful or broken, in our mission or Christian ministry on the whole. So, I’ll slice out a sliver of the pie that’s been in my eye this past year: sometimes strong, capable, creative, and intelligent women staff encounter tension and challenge with their male supervisors. Here are some ideas on what to avoid, and the essentials to include, in posture, philosophy and personal interactions in the working relationship. Acknowledge your primary identity is an image-bearing beloved child of God. You are the treasured child of a king with a beloved identity (Ephesians 1:3-6) and a royal authority (Romans 8:16&17), just the same as the guy across the table. Do your own work to embrace your identity and voice. A supervisor who might be frustrating you is most likely not purposefully against you, but unaware. He or she might not know you feel overlooked or undervalued. Be your own best advocate, in a gracious way. Possess your possessions. Use your own abilities and do not enable patriarchy by waiting for a man’s approval or invitation if the position or power is already in your hands. Speak freely- with confidence, honesty and respect. Believe in your ideas, remember the confidence of your calling, and take risks. Keep healthy relationships with girlfriends. Pursue healing of deeper issues in your past that have not been brought to light or redeemed, and do the hard work of healing, forgiving, and growing outside of any staff obligation or meeting. Say NO and mean it. Say YES and mean that too. Appreciate the effort your supervisor is taking to lead you in the way he or she knows how and be honest and upfront when you feel there is an issue that needs to be addressed. Talk directly to your boss before bringing in other staff peers or higher ups. Respond well to female leadership and encourage the respect of all women leaders at any levels of ministry in Young Life. As women, let’s build each other up! Be bold and brave. You’re blessed to be a blessing. Acknowledge and stay aware of your inherent male privilege – the reality that you don’t have to think about being male, and that society gives men concessions not often given to women. Realize you come to the meeting with a power you didn’t necessary grasp for, but were given. Realize you’re not coming with a history of peers who were refused seats at the table, and that this inherently impacts the dynamic of the table, even though both you and the woman sitting across from you may wish it were not that way. Become familiar with the reality of your lens for seeing the world through your gender, culture and circumstances. Each of us has one and we serve each other well when we try to understand the other. With awareness of how your previous prejudices or embedded biases (which we all have) come into play in interactions with women, work towards a healthy head and heart. Employ accountability and self-check-ins to ensure you’re walking mindfully into meetings with a woman, acknowledging her identity as one made in God’s own image, unconditionally loved, and wholly called. Prepare to embrace her as a capable co-worker, an educated and equipped co-minister, and move to employ the full spectrum of her gifts and talents. With a mindful perspective of one’s self and the person across the table, a working relationship is set up for success. Here are a few more considerations I’d like to mention. Listen well. Hear her whole ideas. Ask clarifying or follow up questions, agree, disagree, challenge and listen more. but lack confidence.” When he observes a woman excelling, he is sure to call it out so she can hear and build confidence. When a woman will not self-promote, she can benefit from champions raising her up. See women as a way to expand the limits of your ministry. Different gifts that fill the gaps or widen the reach of what a man can accomplish alone, open up the door for women to fully live out their gifts, and more importantly, for the Kingdom to grow. Ask for the woman’s perspective and listen to what she offers. Assure her you want to hear what she thinks, that you affirm her position, that her ideas are valid and you want/need her to verbalize what she knows, thinks, wonders, is angry about, cannot stand, will always stick up for, and wants. Never use her as a babysitter or nanny. Be her boss, not her best friend, counselor, or pastor. Advocate for her with the leaders and committee in the area. Empower her to use her very valid authority and gifts to their fullest. Women, you are capable and strong. You do not need to doubt yourself or the leadership gifts God has given you. Men, you are capable and strong. You have the privilege of leading well out of your strengths, for the furthering of a kingdom team. With humility, and some experience, with hope and faith that ensures the culmination of what we cannot yet see, I submit myself and our mission to growing and changing, as well as celebrating, as we work together in unity. As a Young Life leader at my local high school, I have the great privilege of walking with teenagers through the throes of high school adventures, mishaps, friendships, questions, stresses, and decisions. I love the energy, the ideas, the emotions, and the journey of my girls. During our YL small group Bible study this season, we’ve been doing a teen girls video series by Jen Hatmaker called, “Brave Girl.” The study is excellent and done dynamically, with humor, scripture, and explanation. Jen and team share what God says about young women and their identity, relationships, and calling. Just last week, the topic was “Parents” and what God says about life in families. Seven girls sat in a circle and shared stories, exasperations, admonitions, and realities about life as a teenager at home. After asking what they loved about their family, I asked how they would describe the role of a parent. Their responses were not given blithely. They shared from places of appreciation as well as frustration. With the girls in the developmental stage of adolescence, with the task of individuation at hand, and because they feel strong feelings and take great risks, I appreciated our conversation and wanted to share the wisdom. Make me feel wanted, not like I’m a burden. Balance the roles of mom and friend and always keep the mom part most important. Let me be open and honest with you, but don’t push me to be when I don’t want to open up. Not live vicariously through me. Mention a problem once and then let it go. Trust me to handle it if I say I’m going to. Can you sense the tension for boundaries and freedoms, for love and letting go? I pushed a bit further and asked how they could show their parents their maturity and play their role as an ideal kid. Ask you questions instead of telling you what to do. I had to bite my mom tongue at times to keep from rationalizing the parental point of view. I also affirmed their ideas as valid because I really did often fully appreciate their perspective. Eli asked me if he could be considered a “pre-teen” the other day. He’s over 9 1/2 but still I said, “Not yet.” I suppose I wanted him to have some more kid years to enjoy almost as much as I admit I need the time to study this list and get ready for what it will take to parent a pre, full, and post teenage kid. I’m counting on grace…giving it away and grasping for it myself. One of the sessions Drew and I attended at YL75 was on the African Leadership Tree…a method of developing people as leaders through one on one mentoring, life sharing, and cohesive mission. The deliberate and passionate stories, diverse among country and gender, encouraged us as we realized just how big the world is how easily God’s work happens in humbly brave vessels. Sing– Every chance we get. Dance- Every time the music plays. We are bodies, not just spirit. Pray- Cannot live without this. Walk- Everywhere. Everything we believe must walk. Laugh- This is power. This is life. Go- Wherever the Spirit calls and leads. Love- God. Enemies. Neighbors. Brothers and sisters. Selves. Obey- God. Spirit. Leaders God places in our lives. Give- The nature of God. Greatest weapon against poverty: generosity. Celebrate- Thank God and others every chance we get. 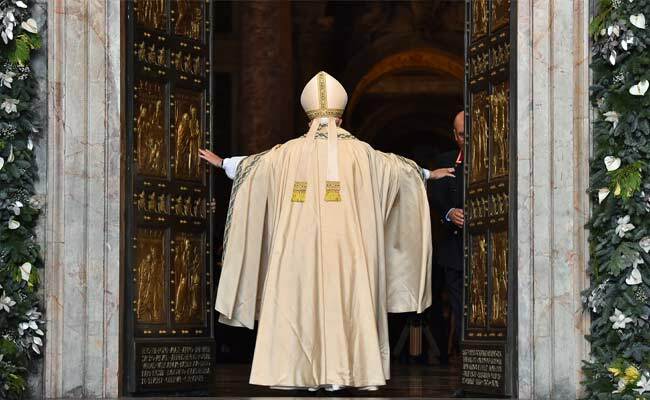 “Haraka Haraka Haina Baraka”– “The slow way is the fast way”. No shortcuts in the Spiritual life, friendships, planting/reaping, discipleship. We value the power of time over efficiency. Only time deepens relationships with God, kids and others. We believe that efficiency does not always equal excellence. “Pamoja Pamoja” – “Together Together”. We are committed to unity and empowerment across every line- tribal, country, gender, class, language. We are a ministry of reconciliation. Mangoes not tomatoes- Tomatoes grow easy and fast but we have to plant them every year. Mangoes take a few years to produce but then they produce fruit year after year on their own for over a hundred years. We choose to grow leaders the mango way- leaders to last, multiply, and transform. Bend and not Break- Life is hard and unpredictable in Africa. Like the tree in the storm we need to be able to bend but not break. Flexibility is a high value. Today is Ash Wednesday and time to experience a Lenten space for Jesus to enter. My desire, this year same as most, is to empty, let go of, and lay bare what is empty, broken, hurried, frantic, without lasting meaning, and fleshy. I’d like to give up complaining this year. Can I make it a discipline that makes me rely on strength outside myself and calls me to rid of dark and fill with light? Perhaps the African words of listening, laughing, dancing, staying, loving, obeying, and celebrating will call me out of complaints. Anything on the list call out to you? Blessings on you in this season and take a walk. There are so many ways my life is great. We have a wood burning stove and have enjoyed building, feeling the warmth of, and watching the beauty of, fires at home this week. Thank you Binny and Bill Pearce for the wood and the fire place tools plus wood tote bag! Our washer washes really big loads. Very helpful for my laundry once a week rhythm! The circle of our first floor. When we lived in our first house, I always loved going to houses that had “a circle” for my kids to run in between rooms. Now we have a circle of our very own and my fears that my older kids would be too big, are totally moot. Eli, Andi and Oaks regularly run, alone or all three, around and around and around. My heart is so happy hearing that pitter-patter of feet. ated him as a real friend, a capable playmate, and an equal in any imaginary world. They share an eye and mind for puzzles and can enjoy quiet, alone, imaginative play- manipulating a character out of any plastic creature- with a voice, a struggle, a family, and often, an injury that needs an Andi created cast. Their times together are precious and I’m lucky to have a view from the kitchen as they play in their own world right over there. As much as I sometimes struggle to find part-time child care for days I need to work, or for the times when I cannot focus on work because I’m home with kids and trying to work, I really, really treasure the flexibility, time with my kids, and the wardrobe. Life is full. I am blessed. I will give out of the fullness of all I have received. What I want to write about today is how much it is taking out of me to take care for Oakley in his current stage of attitude, emotional fit throwing, and obstinate disobedience. But, when I start to write down what has been “Soo Hard” about my day with Oaks today, it seems ridiculously small, insignificant, fleeting, and whiny! Which, of course, proves that I am whiny and don’t deserve to talk about raising a three year old as actually having a real problem. Plus, it’s indescribable how it is in our house at the loudest, craziest moments and should probably stay that way. Our moments of noise sound out and then seep into the walls and ways of our family history- a bit messy, often energetic, openly communicative, active, intense, in home and out-and-about, bent on being together, and showered in grace for and from each other, that we gather from God who gave us this gift and helps us hold together. Alas, I won’t vent in angst, but with thanks. I just returned from the Young Life All-Staff Conference/Celebration: YL75. Drew and I went together, without our kids, and joined 5,000 other staff and spouse Young Life friends. We filled the second largest hotel in America, (The World Center Marriott in Orlando) and half the Port Orleans Disney hotel with attendees. And we overflowed the tiny Marriott Starbucks- the lines at Disney paled in comparison. From my single seat in a crowd the size of three huge high schools, I heard, saw and felt richness in most every aspect of a mission based vacation. We got great gifts- sunglasses (thanks to the TOMs founder Blake and his YL connections! ), surprises, and excellent speakers and sessions. Drew and I enjoyed each other and being OFF– of work, of parenting, of cold Missouri weather, of Christmas chaos, of household work…Oh my how well we get along with no real responsibilities. Funny how the inconvenience of caring for others and cooking can disrupt our couple zen. Ha! Efrem Smith spoke with loving admonition to: turn up the volume on kingdom compassion, have the kingdom of God move with expansion and inclusion to welcome the untouchables and outcast into our midst, and join a revolution that Jesus has wrought from the beginning to say all lives matter equally to God but not in the world, which is a call to the church to step into the hell of marginalization and reach deep into the muck and mire to lift people out with the love, hope, and light of Christ. Jen Hatmaker said today’s adolescence value: community, justice, anti-consumerism, and mentorship. They don’t need “cool”, the world gives them “cool,” but instead real adults showing up in their lives, present and available and lasting. (Very encouraging to increasingly un-cool 35 year old me.) They are looking for people to lead them with their life, not their speeches. She encouraged YL to continue to reach this generation by any means, wherever the gospel is rising- giving kids a safe place to ask their questions, share their struggles, and fill their emptiness. Worship and presentations by YL from Africa where staff people are vigilant, kids engage with Jesus, and people dance daily. The whole time they shared, I felt smaller and smaller in our world that is so big, with so much outside my experience, education or imagination. I loved feeling little because it made any problems or fears I had shrink to their appropriately minuscule proportions. And yet, as we walked past families experiencing Disney’s best with their kids, I couldn’t help but think of the gift we’ve been able to give our kids of adventure, humor, surprise, and good food in a crowded room when we go to Castaway in the summers. To be known, loved, tossed in the lake, and freed to play in the safest community anywhere, the gifts Young Life has given us as a family through assignments, might just trump a day at Disney. I felt affirmed and spurred on, Drew felt encouraged in the mission, and we loved seeing our friends from Chicago, Nicaragua and a few places in between. We are thankful our kids were cared for so well at home that they cried when Maama left, and wished for another night with GG and Pops. I can’t wait to keep marinating on the memories and walking out the invitation to kingdom expansion and inclusion here in Park Hill. 5000 people with 5 finger flashlights held high. We pledge to take the light into dark places going forward for another 75 years. Thank you YL75 for a wonderful week..
Ninja warrior competition for kids in Denver for Eli’s Christmas present from Maama. All his hard work in trees, our back yard, and the CFN gym paid off as he was strong, balanced, brave, friendly, and unbound in his exploration of a space made for adventure. Trips to Colorado in 4 days for Drew who came for the competition, then went back to work, and then came back for Christmas. of mine who I love to see play the days away without school, with each other, outside in Colorado sunshine. that we eat before noon. Eli, Andi, and Oaks are loving Christmas with their little cousins June and Vienna. found while getting our teeth cleaned. 5 for Andi and 1 for Mommy. Agghhhh! The good news: Oaks was a great patient for his first ever visit to dental hygienist Maama! we did for Mom with planning (Laura), tenacity (Natalie), expertise (John), skill (James), climbing coordination (Scot), many a job (Drew) and clean up (Kim). in conversations with each other, smiles on baby faces, a table full of life and love, joy, truth told, and forgiveness. solved leading to our escape from the Toys in the Attic Epic escape game! Team Eli, Andi, Drew, Linds and Maama solved in 51 minutes. Unfortunately, we lost all our aunts and uncles to zombies in the room below. lit along the path I want to light from Grammy tonight. Light in the darkness. Warmth in the cold. Love all around. Nestled into our kitchen corner from NYE- it stayed put all year! Today marks day 342 of the year 2015. With 23 days left this year, time wanes and goals might be going unmet. I don’t remember what I set out to do in 2015 but do remember the way we welcomed the new year: with family, shared experiences, a party in house with games, good food, and a solid soundtrack. Looking back now, I’d say many of those favorites found their way into wonderful moments and experiences, ordinary and extravagant, all year long. With a new niece, my first nephew, great jobs, health, family, traveling, and joy, our year was a very good one. Outside of my direct experience, 2015 held hardship, horror, and helplessness for many of God’s children in the U.S. and around the world. How do you move ahead if the year behind you took away something you held so dear? How do you move forward past discouragement, pain, and fear towards new hope and a fresh start if you’ve lost a lot of power or all of your trust? Honest intentions, basic needs, or disciplined desires need time to surface. Perhaps now, 23 days before the new year comes, is the time to look back and think ahead. When I hosted a Christmas party this week, I asked the room to light a candle and share two words: one that summed up 2015, and one to direct 2016. My friends shared bravely and directly, trusting that to say it out loud and light a candle, meant darkness will become enlightened, and the hopes for the future will have feet to run on. They spoke of a year that was complicated, fun, surprising, hopeful, hard, and full of joy, worry, anxiety, running and growth. Looking forward with light to lead them, my friends held out words that would call them to: let go, play, navigate, heal, be brave, have hope, set intentions, and connect. What can you look back and see from the days behind you this year? What do you want to hold onto, let go of, raise higher, or erase forever? How will you walk, lead, dream, parent, work heal, play, let go, hold on, or choose this next year because of,or in spite of, what this past year has held? Who will you be for yourself and what will you do for others? What is the word that sums up the pace, priorities, and experiences of 2015? What is the word to guide your ways and days in 2016? When you have the words, tell me or someone else so they begin to become more real right away. I have been happily hosting questions, musings, and wonder in my head this week as Thanksgiving Day and celebrations approach. What does it mean to give thanks? Whats the opposite of thanks? To give something requires you to offer something you have to someone else. Giving can be partial, (give some money, some time, some attention) or complete (all of your heart, the whole piece of hard candy, or Jesus’ whole life laid down), but happens with a transfer of possession: something I have, I choose to give to you. As we approach Thanksgiving, perhaps the action of giving thanks should be our sacrifice to impart or supply a gift to another. An illustration: For two years in a row, Kristin and I have served for a shift at the school carnival sno-cone stand. Every kid there can have one free sno-cone; they need only to stand in line. When they approach the table, every kid can choose blue, red, or purple, or the mix of all three. We scoop, squirt, and hand it over. When we serve about 100 sno-cones in an hour, we accumulate a bit of data about children’s thanking habits. Indeed, saying “Thank you” or “giving thanks” is part habit. From year one to two, our data is very similar. About half of the kids who grab a sno-cone say thank you. Between us, we have six kids, we admit the 50/50 ratio applies inside our families. I am willing to totally take into consideration the carnival environment: a highly energetic, chaotic, fun, busy, and sugar-filled night with friends. Even the most polite kid might slip out of thanking practice. However, I’ve been thinking about how much it bothers us and why. What does it mean when a kid stops with sno-cone in hand to look back and say, “Thank you?” I think it means they are willing to give attention, pause, and appreciation. It means they acknowledge, us, the person behind the gift and reception of something they would not have had without help. When they don’t, we feel a bit ignored, unappreciated, and like our finger are so, so cold. Perhaps to give thanks is to acknowledge our own limits. Saying thank you reveals our dependence on others to get what we want, or other times, desperately need. If we are not giving thanks, what are we doing? What is the opposite of thanks? Without prefixes, modifiers, or any participles, what follows are some opposites from my own behavior. All of which have their place in thoughts, conversations or blogs (ha! ), but none of which should replace a moment where thanks should be given. So for thanksgiving, I’m going to try to supply gratitude, impart appreciation, realize I cannot exist or thrive on my own, name the gifts I’ve received for which I am so thankful, and spend time with people who I love and appreciate so very much. the blessings of grace, an attitude of gratitude, and the wonder of watching as you pause and enjoy. Comeback. Magic. Awe. Unbelievable. Repeat. Remember. Elimination. Expectation. Pressure. Celebration. Unlikely victory. It’s never over til it’s over. Thrilling. Exciting. Stressful. Hopeful. Youth. Experience. Management. Dugout speeches. Rally. Doom to Boom. Overcoming. Believing. Coming together. Listening. Watching. Playing. Hoping. These are our buzz words. This is our emotional roller-coaster. Kansas City is turning blue- from fountains to footwear. Today’s teachers and bank tellers are wearing t-shirts and jersey’s with jeans instead of ties and suits and dresses. Kindergartners and 86 year-olds are wearing Royal’s gear. 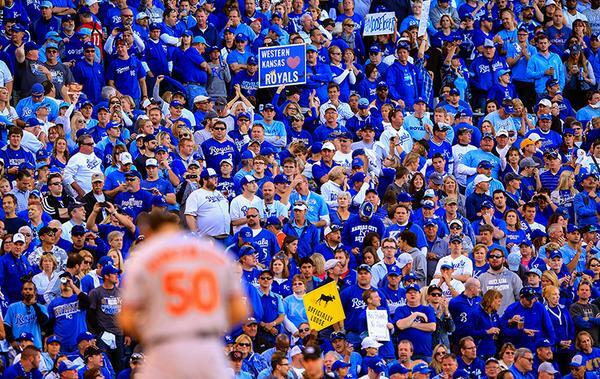 “Go Royals” is a greeting just as good as, “Hi” or “Bye” even if your consort is not wearing blue. I’m living in Kansas City in the middle of the baseball playoff season on the edge of my seat. 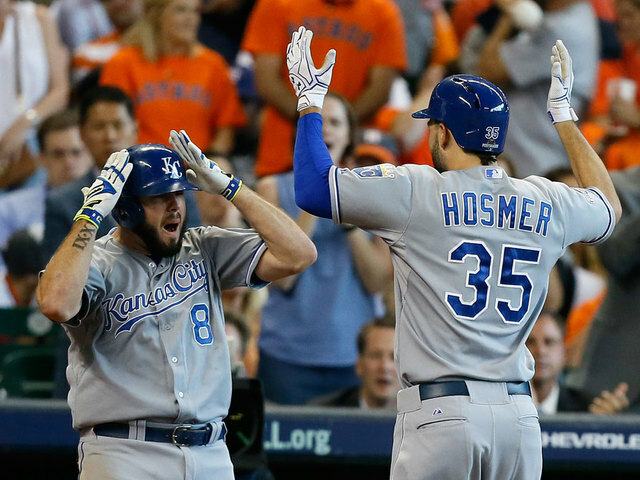 Monday’s ALDS Game 4 was our elimination station- the Royals had to win and they weren’t. After watching at a quiet Ruby Tuesday with Drew and then Laura over their work lunch hours, Laura and I left to our own car radios to get back to work. We would listen to what was surely the end. For us, it never occurred not to listen. To many of my friends, when the going got tough and ugly, they tuned out and turned it off. On Barry Road I heard the reversed call that ended Terrance Gore’s trip around the bases in the top of the 7th. I heard a two-run Correa home run off a Ryan Madson 3-2 pitch. Then before I let out my “Ugh” breath, the Astro’s hit a solo home run to go up 6-2 by the end of the 7th. I entered Oakley’s Parent’s Day Out pick up with a low countenance. I felt defeated and that the playoff run was disappointingly over. Laura texted back disappointment and righteous anger. After buckling Oakley up, at the start of the 8th inning, I texted Laura back to say, “Beat defeat! Hold onto Hope.” That’s what I tell Andi and for some reason I told myself and the Royals in that moment, as well. By the time we drove the 3 miles home, the Royals had hit 3 singles. The bases were loaded and Oaks and I ran to the basement. Our radio is down there as well as Oakley’s train track so we were both set. Every time they got a hit, and then runs, Oakley and I would run. Laps around the basement. Overly jumpy jumps on the mini-trampoline. Some runs with Oaks right behind me, others with him on my hip. He would high-five and chant “Let’s Go Royal’s- clap-clap- clap” on his own volition and then go back to playing trains. Then I’d scream and jump and he would drop the train to celebrate with me. So went our act for all of the 41 minutes in the top of the 8th inning. We came up with the Royal’s ahead 7-6 in the ninth to greet Eli and Andi and welcome them to the basement celebration. Turns out their speech teacher was sending everyone out of the school yelling, “It’s TIED! They TIED IT UP!”. They listened on the bus radio until their own small voices with big yells took the bus over with “Let’s Go Royals” chants. “You would have heard us on the street Mom!”, Eli assured me. Hosmer would hit a two-run home run in the ninth and Wade Davis gave us six outs. They had hoped. They beat defeat. And hope is what we hold again today. Game 5 will start in exactly two hours and hope rises high. Confidence and trepidtion sit side by side and blue people gather in homes and at the K.
We have to be grateful for the weeks before this one. For me, my Monday antics- the emotions, words, texts, screams, high fives, and jumps and time with Oaks and listening to the end with Eli, are gifts I hold dear. To overcome when you’re down is not just a great and rare sports experience, its a design we are built to wear. When I am down, if the odds are stacked against my kids, or the score is uneven for the underdog, the call to hope should be heralded. To beat defeat is to hold onto hope.